A few months ago F.E.M.A. made some significant changes to the National Flood Insurance Program (NFIP) that was originally established in 1968. For details on this subject refer to the F.E.M.A website, http://www.FEMA.gov , but I felt that there are a few key points that people need to know about. Typically, a homeowner’s insurance policy is shopped for towards the closing date of a purchase transaction. At that time, a purchaser finds out they will need to purchase flood insurance if their new home is located in a flood zone. An issue that clients have been running into is the lack of an elevation certificate on the home they are purchasing and effective October 1, 2013 an insurance agent must quote worst case premiums which can reach into the thousands of dollars if an elevation certificate is not available on the home they are buying. The elevation certificate is an important administrative tool of the NFIP. It is to be used to provide the elevation information necessary to ensure compliance with community floodplain management ordinances, to determine the proper insurance premium rate. The surveyed elevation data, typically the elevation of the lowest adjacent grade of the structure in question, is provided by a Licensed Land Surveyor. If you are looking to buy a home that is in a flood zone and requires flood insurance to be purchased, this should not be left to the end of the loan process because it may take a week, two or three to obtain the certificate and closing may be delayed. The cost of obtaining an elevation certificate is usually the responsibility of the buyer. Maximum coverage through the NFIP is for $250,000. For full details and changes made to the National Flood Insurance Program please visit: http://www.fema.gov/media-library-data/7c1b0352fe3987c36569fccc492ab2ca/change_package_508_oct2013.pdf. For questions, please contact me by email at Ingrid.quinn@cobaltmortgage.com or visit my website http://www.scottsdalemortgageexpert.com or http://www.cobaltmortgage.com/ingridquinn. Categories: home buying, Loans | Tags: arizona, cobalt mortgage, Flood insurance, flood zone, ingrid quinn, paradise valley, phoenix, scottsdale | Permalink. Bi-Weekly Payments, Good or Bad? Occasionally, a client will ask about a program to make bi-weekly payments on their mortgage and I feel this subject should be discussed. If you have recently taken a mortgage, you will likely receive information in the mail about this type of payment plan, from your own lender or a third party. Please take the time to verify if it is coming from your lender servicer or a third party service that got your loan information from public records. The usual information states that for a few hundred dollars, you can save thousands in the long term interest, simply by having half your mortgage payment debited from your bank account every two weeks, instead of making one monthly payment. Lenders often use an automatic bank draft for their biweekly plans, which means all your mortgage payments will be made on time. The main reason a homeowner may choose to take this option is if it makes their monthly budget work for their household and the long term effect on their accumulated interest is beneficial. 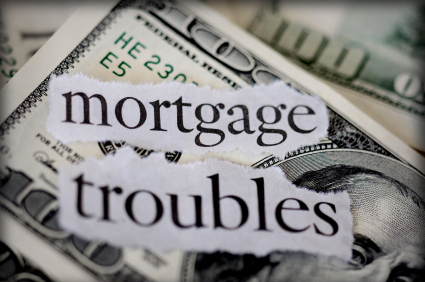 By making 26 payments of half your mortgage, you are in effect making 13 monthly payments instead of the normal 12. Depending on the terms of your loan, that extra payment each year may make a change in the principal amount of your loan and in turn lower the amount of interest accumulated over the life of your loan. There may be an up front fee to enroll or a monthly fee included in the payment which is typically charged by a third party servicer. The results of this type of payment plan can be achieved by homeowners taking the initiative themselves. When all is said and done, homebuyers should look at the big picture. How long are you planning on staying in the home? Can you comfortably make those bi-weekly payments? Homebuyers should not hesitate to speak to a mortgage professional about this type of payment program. Categories: Loans | Tags: cobalt mortgage, Home Buying, home loan, ingrid quinn, mortgage payments, paradise valley, phoenix, scottsdale | Permalink.